One of our Champions has just donated two $15 Target gift cards to the raffle tonight — so in addition to cool Husker swag, camaraderie and networking, you might just come away with $$ in your pocket! Feeling lucky? See you tonight!! C’mon Huskers in Hollywoodland…get out of your funk. There’s more to life than that one particular sport, you know. Your Nebraska Coast Family will help you remember you have an exciting career in one of the coolest places to live, AND you have a big bunch of lovely & talented Nebraskans for your friends. 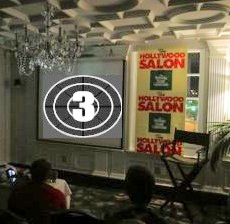 We’ll be at the Culver for the Salon tonight…hope you will be too. OK, Nebraskans…especially those from Omaha: do you know where the word “OMAHA” comes from? It’s from the Native American tribe, the Omaha. Omaha means “to go against the current” and the tribe was given this name because they went upriver and migrated to what became the Nebraska Territory. Our guest at the October Salon is a Nebraska filmmaker who has made an important film about the Omaha tribe, and how their ancient language is quickly dying out. 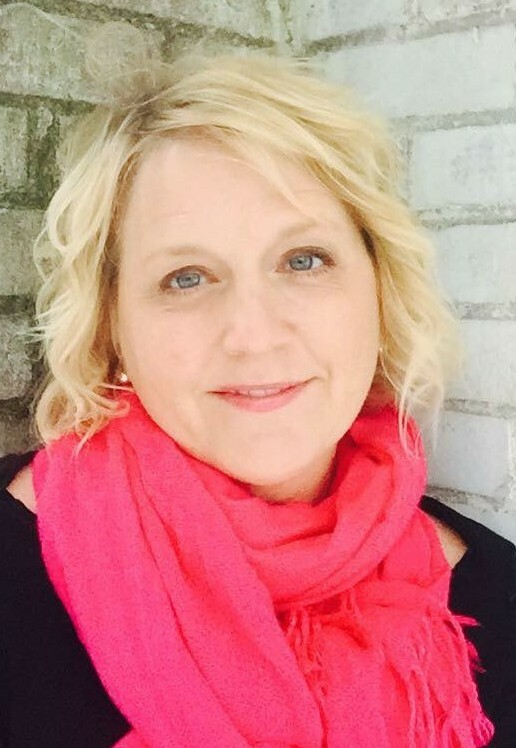 Brigitte Timmerman is Vice President of the Nebraska Film Association. She advocates for a positive film environment in the state of Nebraska. She was also a member of Chicago Filmmakers Coop where she was instructed and influenced by many talented award-winning filmmakers. 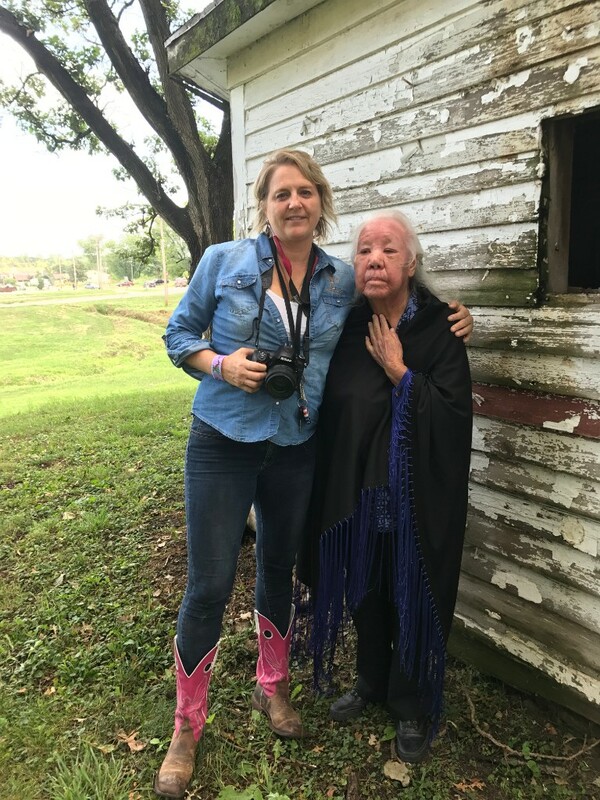 Her latest feature length documentary UmoNhoN Iye The Omaha Speaking is about the handful of fluent speakers that remain of the tribe and educators’ dedicated efforts to revive their language. 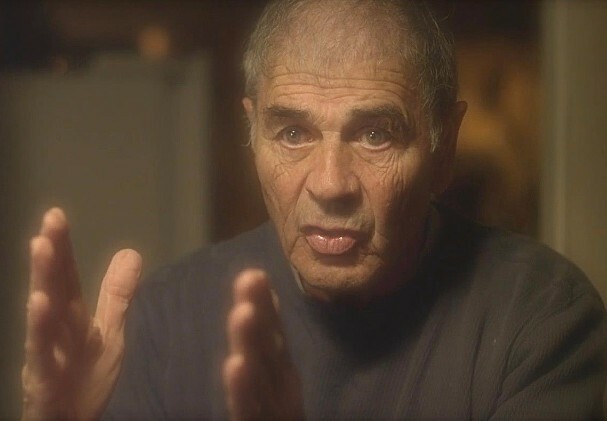 Academy Award winning editor Scott Conrad (ROCKY) recognized the importance of this project and worked closely with Brigitte to bring the film to life. Native American actor and activist Tatanka Means (THE SON, TIGER EYES) narrates with a native voice in keeping with the integrity of the film. So far UmoNhoN Iye has been the official selection in the Red Nation Film Festival, American Indian Film Festival and this weekend at The Awareness Film Festival. Brigitte’s recent short documentary “Sandhills Cowboy” is about a working cowboy and poet who runs a ranch in Cody, Nebraska. She is one of five children from a cattle ranching family. She currently lives in Omaha. 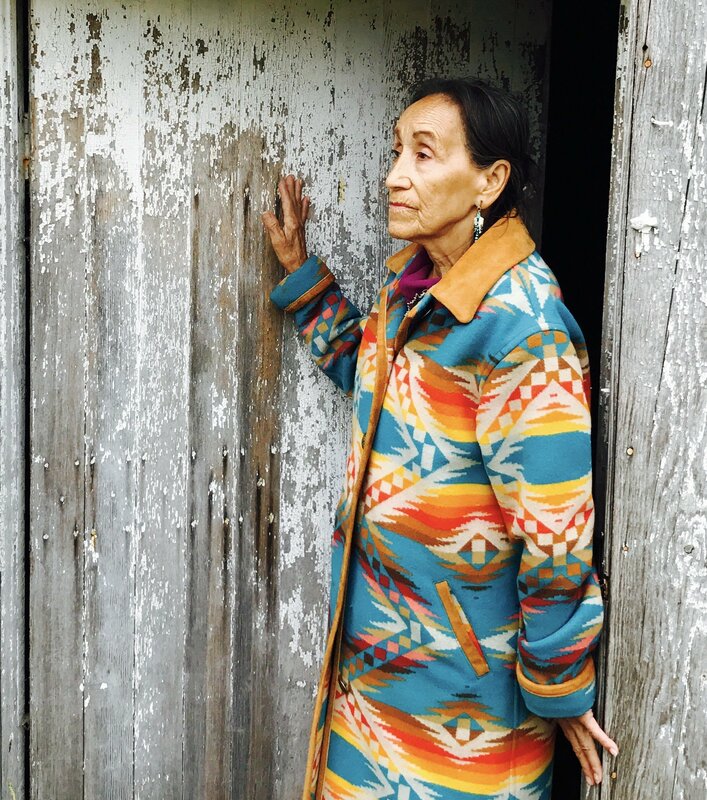 We’ll show excerpts from the film and you’ll have the chance to hear from Brigitte how she found this incredible story and made the documentary by gaining the trust of many native elders (many of whom have passed since the film began). Don’t miss this rare opportunity to meet her and see some of her special film. “Our Language is Sacred, no one can take it from us.”– Omaha Elder. 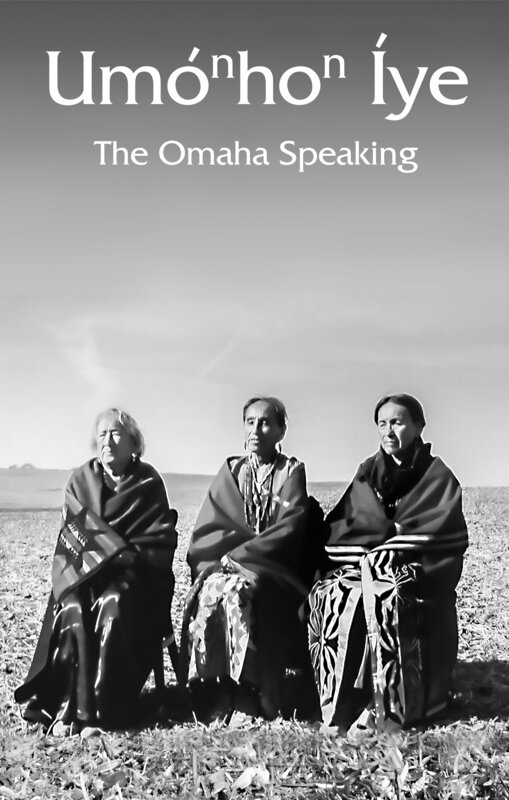 Only a handful of Native American fluent speakers remain of the Omaha Tribe. 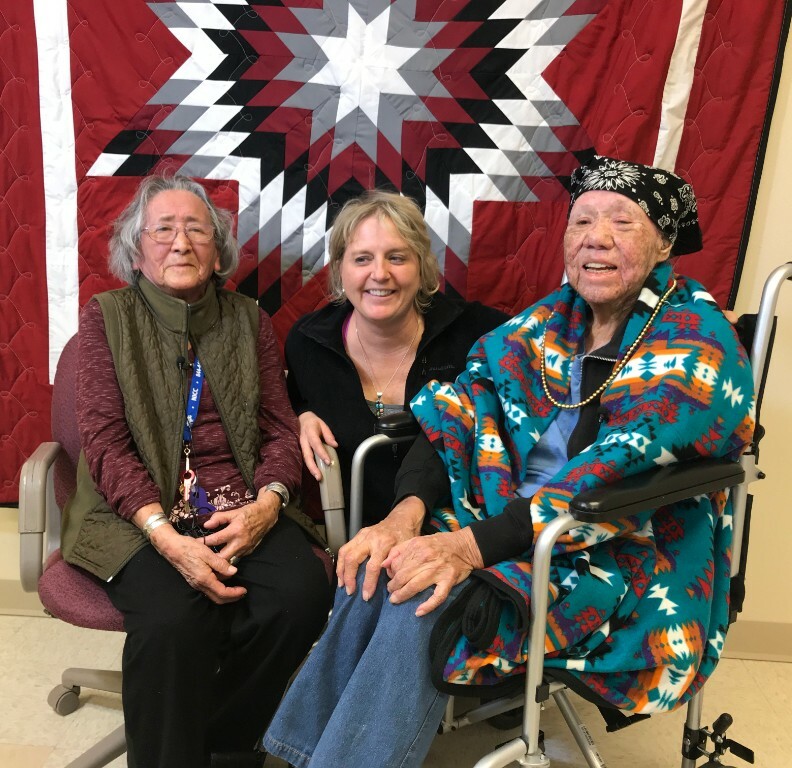 Fluent speaking elders reflect on growing up speaking their native language, the efforts that was taken from the government to phase it out and why it is so important to preserve it. 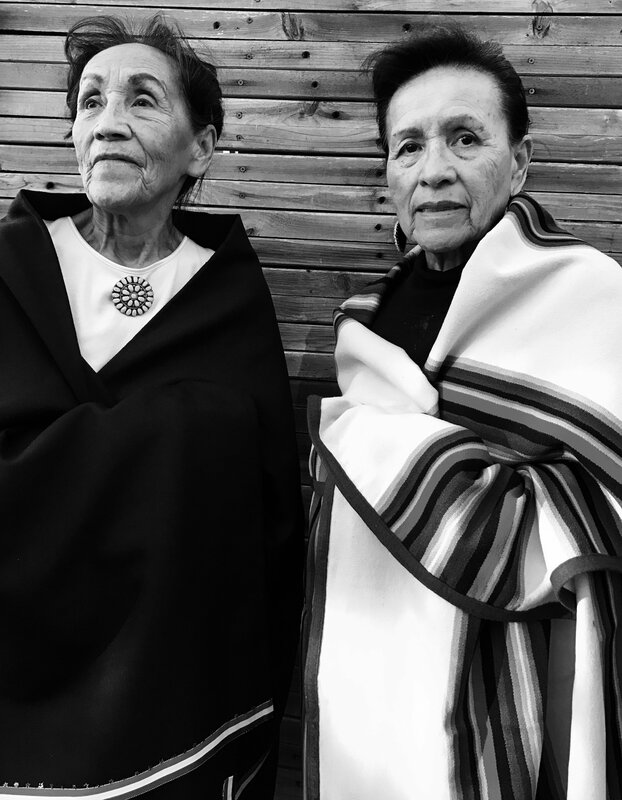 Hopefulness is expressed by the elders and a dedicated group of educators in their attempts to keep their language alive. 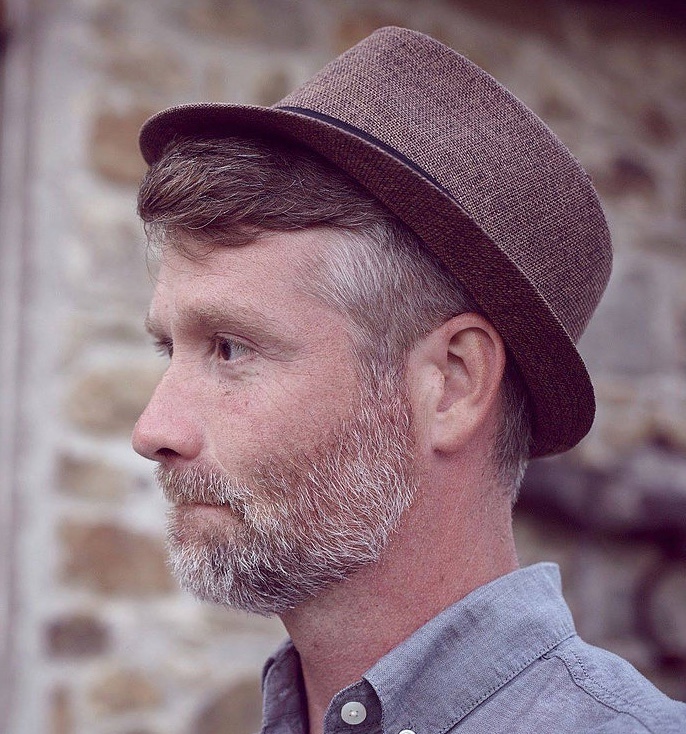 Tim Mooney (UNL MFA 1985), is a touring one-man performer, specializing in classical plays (“Moliere than Thou,” “Lot o’ Shakespeare,” “Breakneck Hamlet”). 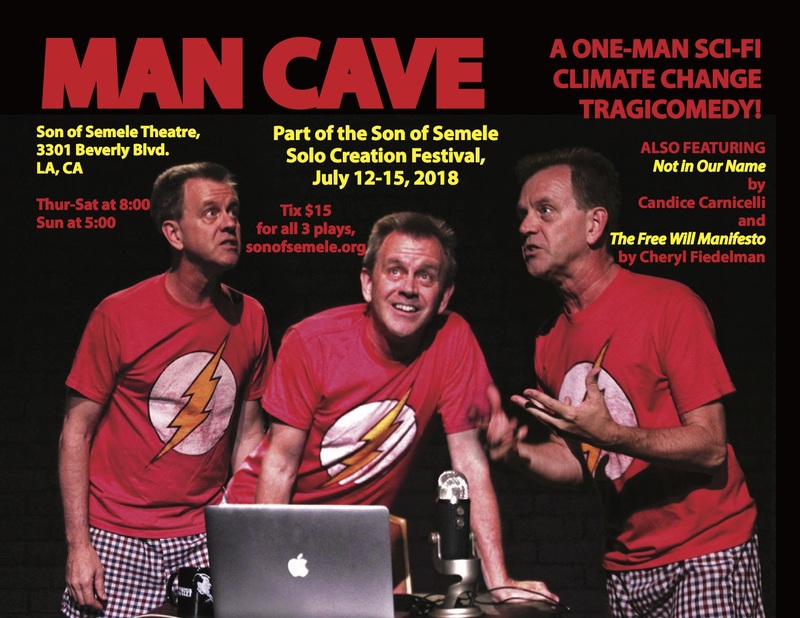 He’s the author of the popular acting textbook, “Acting at the Speed of Life,” and is currently in LA with his brand new one-man show, “Man Cave; a One-Man Sci-Fi Climate Change Tragicomedy,” part of the Son of Semele Solo Creation Festival, July 12-15. Come see Ryan and Tim TONIGHT at the July 9th Salon and help us celebrate their new shows. We’ll be making plans to take a group to see both shows – stay tuned for news about that. This entry was posted in Hollywood Salon on July 9, 2018 by Todd Nelson. Please note the Culver Hotel will host us in the first floor dining room this month, not our normal room upstairs. Follow the signs at the hotel on Monday. Our Salon this month hosts an up-and-coming director who discovered the NCC years ago when he first arrived in Hollywood from Omaha. He returns to the Salon with a career in film and television well underway. Charles Hood is one of the latest and greatest Omaha directors to make his mark in Hollywood. 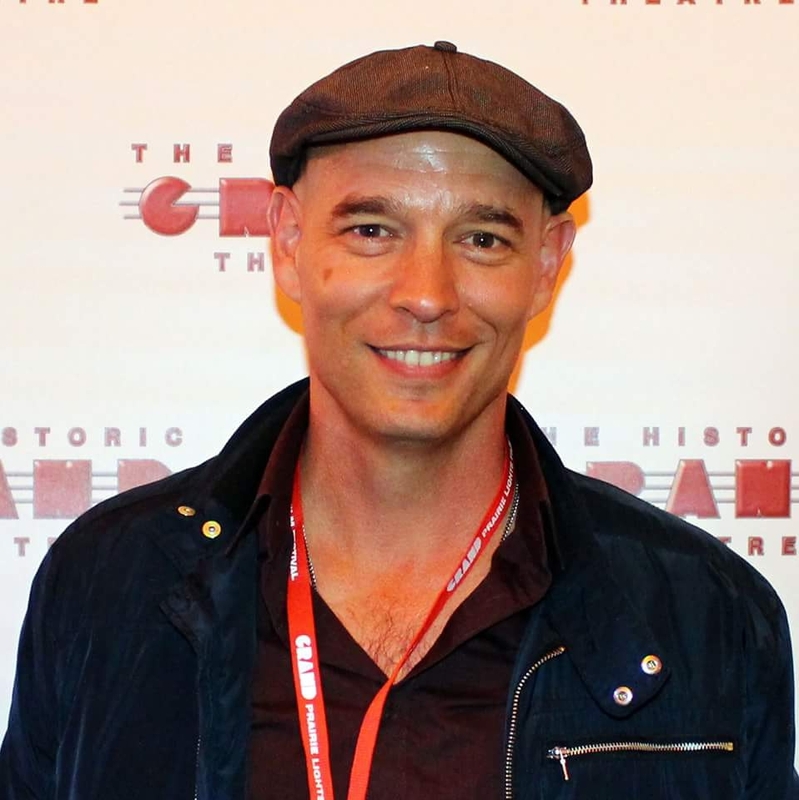 After graduating from USC’s film school in 2005, Charles wrote and directed his first feature film, FREEZER BURN. The sci-fi comedy/drama screened at twelve festivals, winning awards including “Best Feature” at the Flint Film Festival, and was picked up for distribution by Vanguard Cinema. 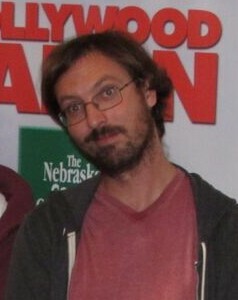 Shortly thereafter, Charles shifted his focus to directing and co-writing two comedic shorts, Allison and First Kiss, the latter of which was awarded “Best Short Film” at the Omaha Film Festival and the Audience Award at the TriMedia Film Festival. 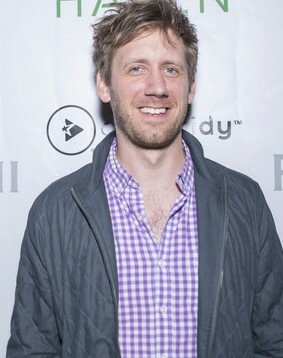 In 2015, Charles directed and co-wrote his second feature, NIGHT OWLS, which had its world premiere at SXSW. The film played over 15 festivals, winning “Best Feature” at Skyway Film Festival, Indy Film Fest, Destiny City Film Festival, and Napa Valley Film Festival, in addition to “Best of Fest” at Hill Country Film Festival. MGM (through their Orion Pictures label) and FilmBuff released the film theatrically in ten cities and on VOD in December of 2015. For the last couple of years, Charles has been directing shows for Verizon’s streaming service Go90. He directed the pilot and an additional ten episodes of a half hour comedy/drama called Play By Play. 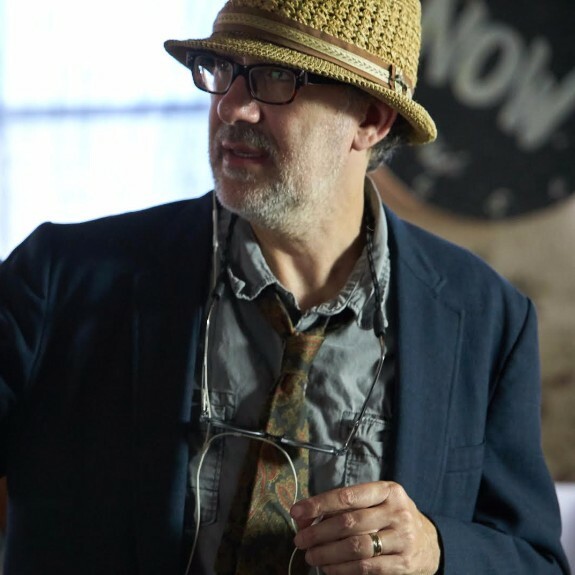 Most recently, he directed the first five episodes of a mystery/thriller titled In The Vault and is about to direct more episodes for season two. 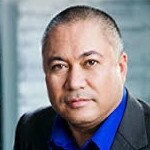 Come meet Charles at the June Salon on Monday and learn his secrets of breaking into the competitive world of directing. 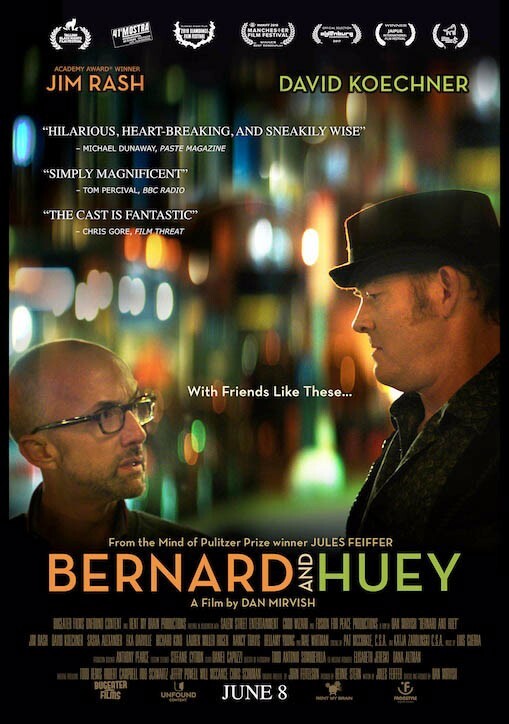 I would be honored to see you at my theatrical opening of my new film BERNARD AND HUEY starting this Friday June 8th at the Laemmle Monica! 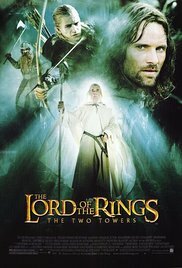 This film would not have been possible without NCC — I literally met one of my biggest investors at an NCC Salon! But also, many of you came on board as Kickstarter backers and helped in other ways. The film also stars Nebraska natives Chris Dukes and Samantha Buchanan along with Jim Rash (whom you may remember from when he shared an Oscar win with Alexander Payne for the screenplay to THE DESCENDANTS). Chris and Jim will be there on Friday! And of course, I produced the film with my long-time Omaha-based producing partner Dana Altman, and a great many of our investors and backers are still back in Nebraska. Bottom line: You can take the filmmaker out of Nebraska, but you can’t take the Nebraska out of the film! After playing at over 25 festivals in five continents (including the Omaha Film Festival), I’m very happy that the film will be distributed in theaters coast-to-coast (and also on iTunes and other Video on Demand) starting this week! Hope to see you all at the Laemmle Monica on Friday! BERNARD AND HUEY is a timely story of two men behaving badly, and the smart women who rein them in. Roguish Huey and nebbish Bernard are unlikely college friends in late 1980’s New York. Decades later, a bedraggled Huey gets his mojo back with the women in Bernard’s life, while Bernard awkwardly falls in love with Huey’s 25-year-old cartoonist daughter, and it becomes clear how much growing up the two men still need to do. After 10 years the film that we all put so much work into is finally finished and will be screening for a full week in the state of the art Arena Cinelounge Theater. 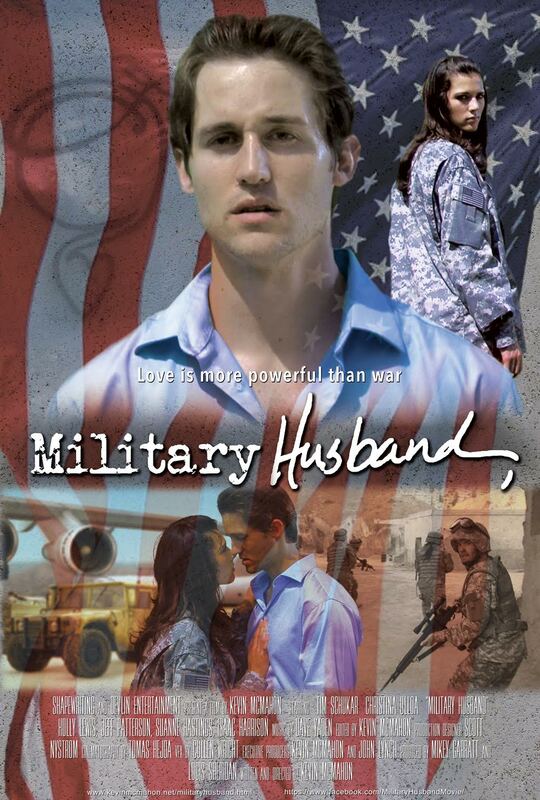 MILITARY HUSBAND stars many NCCers, including Tim Schukar, Holly Lewis, Suanne Hastings and many others. Help us celebrate the completion of this beautiful film and celebrate the fact that we will be qualified to submit the film to the Academy for Oscar consideration. The film will premiere on June 22 and run every day until June 28 at Hollywood’s Arena Cinelounge Theater at 6464 Sunset Blvd in Hollywood. The film features the work of many Nebraskans both behind and in front of the camera and could not have been possible without the NCC. I’ll be at the Salon Monday to show everyone the trailer for the film, and we hope you can make it to see the entire film on the big screen in a couple weeks! MILITARY HUSBAND is the story of a man who fails to cope when his former ROTC wife is reactivated and sent to the war in Iraq. 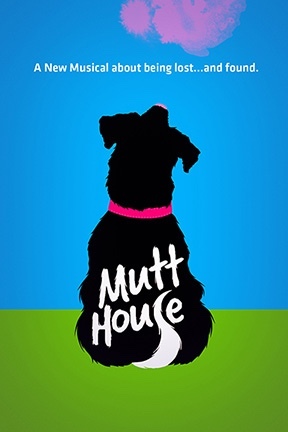 Seeing his plight, his neighbor and “military wife” invites him to the support group where the other wives stage an intervention designed to help him learn to cope for his wife’s sake. 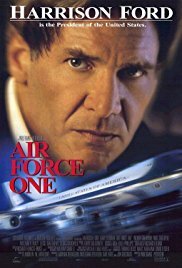 After learning the tools he needs to get through the day tragedy strikes in Iraq and he is unsure if he will ever see the woman he loves again. This entry was posted in Hollywood Salon on June 7, 2018 by Todd Nelson. A Comedy Panel with CHRISTINA MARIE LEONARD, JOHNNY BEEHNER, TODD MUNSON, BRENT POPE and RYAN TWEEDY…PLUS birthday cake and spec commercials, check it out! At the Salon this month, get ready to LAUGH! We’ve got a bevy of talented comedians, all from Nebraska, coming to enlighten and entertain us. Have you ever wondered how stand-up comedians make it look so easy? 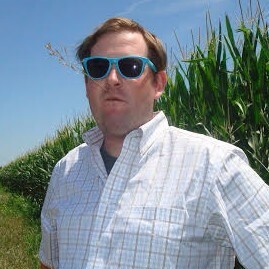 What is it about Nebraska that has spawned so many great comedians? How does one get a break starting out in comedy? On Monday at the May Salon, come get the answers of all these questions and more at a comedy panel hosted by NCC’s own Christina Marie Leonard. We’ll have five comedians from both the world of stand up and improv comedy, all of whom once hailed from Nebraska. Christina Marie Leonard is from Omaha and got her BA in Theater at the Johnny Carson School of Theater and Film at UNL. She has acted in over 40 feature films, and has performed and emceed stand up comedy at The Comedy Store, The Hollywood Improv, The Ice House, and Flappers. She also hosts our Salon most months, and has put together this great panel. 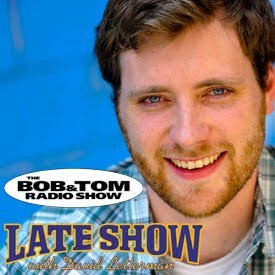 Johnny Beehner appeared on THE LATE SHOW WITH DAVID LETTERMAN just months before Dave’s retirement. Growing up the middle child in a family of seven kids, as well as becoming a new father married to the girl of his dreams has given Johnny plenty to talk about. Often relatable, often absurd, Johnny’s material is always accompanied by his likable style onstage. Todd Munson was born and raised in Grand Island. After graduating from UNL on the five year plan (but only two plasma donations) with a degree in broadcasting, he moved to LA. Thanks to the NCC, he quickly made friends here and set about to launch a career in comedy and writing. It was a long slog through Hollywood but Todd emerged out the other side as a working writer, stand up comic, and longtime red carpet correspondent. 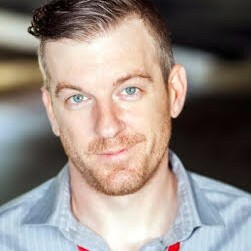 Brent Pope is an actor, writer, and comedian. Notable credits include roles on ROSEANNE (ABC), SILICON VALLEY (HBO), SPEECHLESS (ABC), BETTER THINGS (FX), and CASUAL (Hulu). He wrote and starred in two comedic web-series, Common Beauties and Table for Two. Brent also co-hosts the Ray’s n’ Brent Podcast. 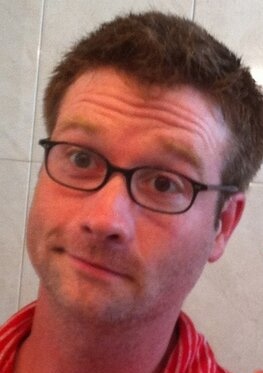 Ryan Tweedy is an actor, improviser, sketch comedian and filmmaker. You can catch him in the sketch group “The Babes” at iOWest the 2nd Monday of every month. He is also the founder of the Big Red Cobcast and directed the Husker Football documentary THROUGH THESE GATES. Get ready to learn all about these comedians and their journeys from the Great Plains to the heart and stages of Hollywood. It is sure to be a fun night with some guaranteed laughs! ALSO at the Salon on May 14th, it’s our Super Volunteer Greg Hadwick’s very own birthday. And he’s choosing to share it with all his NCC friends. Come help us celebrate Greg and his many contributions to the NCC over the last eleven+ years. Yes, there will be cake! It’s going to be an action-packed laughfest on May 14th. Hope to see you Monday at the Culver! This entry was posted in Hollywood Salon on May 10, 2018 by Todd Nelson. Continuing our DOWNSIZING series at the Salon on March 12th, we’ll be hosting one of the stars of the film. 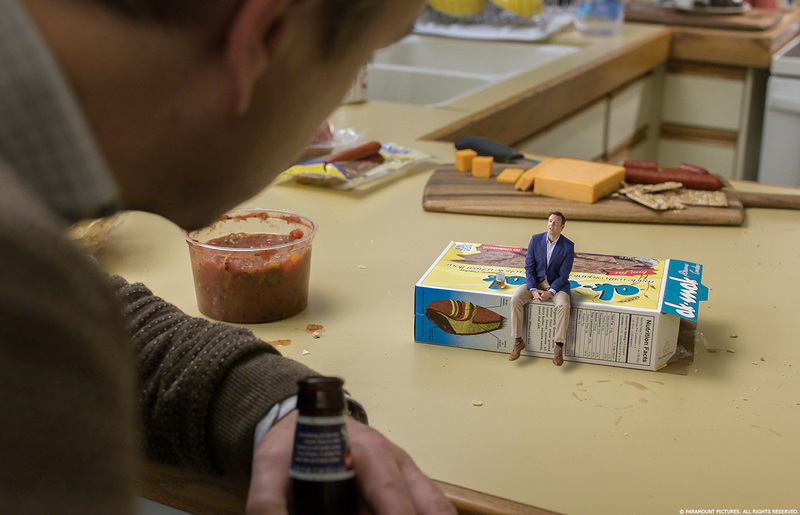 No, not Matt Damon or Christoph Waltz, but the man who made those actors only five inches tall! This Salon, we’ll all get a tutoring in the latest film visual effects by the Visual Effects Supervisor of DOWNSIZING. Jamie Price has worked in visual effects for over 27 years, but DOWNSIZING was the first time he worked with Director Alexander Payne. Alexander has never used VFX as extensively in any of his previous films, and with this one he challenged Jamie to make him feel like he was making an ordinary movie, and not be hampered by the technology. By all accounts, Jamie succeeded spectacularly, and at the March Salon you’ll learn the secrets he employed to make that happen. 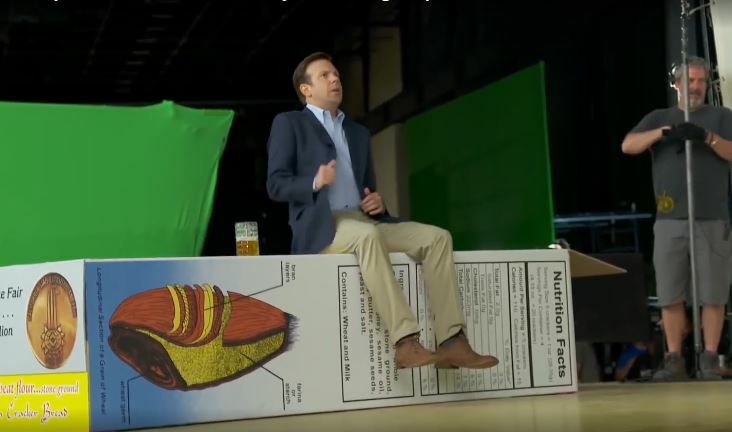 Shrinking actors, sets and props down to small size is a film technique that has been used since the early days of movies, and 80-year old camera tricks were matched with today’s advanced techniques to great effect on DOWNSIZING. Jamie will show us just how he could fool filmgoers into thinking people could be shrunk, while allowing Alexander to make a movie with the attention to actor performances and realism that have become hallmarks of all of Payne’s films. Beginning with HOOK and WATERWORLD, Jamie worked as VFX Supervisor on many of the biggest effects films ever, including ROBOCOP, PACIFIC RIM, AUSTRALIA, LORD OF THE RINGS, BICENTENNIAL MAN, AIR FORCE ONE and many more. Don’t miss this chance to peek behind the curtain of one of the year’s biggest visual effects films that didn’t feel like a visual effects film. Jamie has a lot to teach us, and after this Salon you’ll never look at effects the same way again. See you Monday at the Culver! This entry was posted in Hollywood Salon on March 9, 2018 by Todd Nelson. Monday’s NCC Salon with longtime Editor and new Director Kevin Tent! 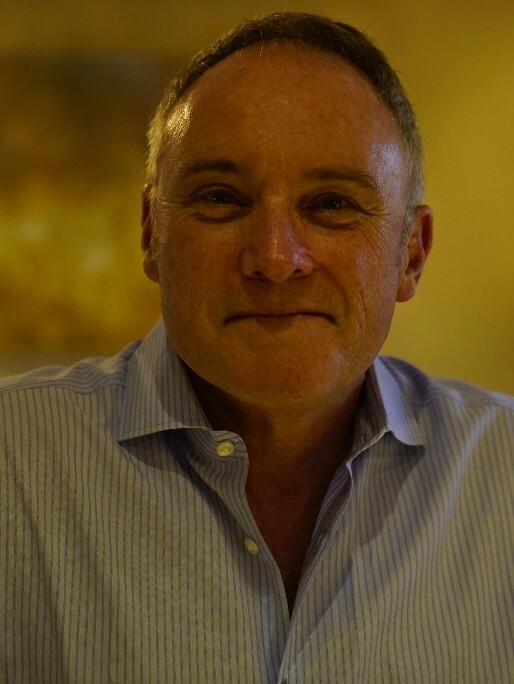 Oscar-nominated Kevin Tent has been a film editor in Hollywood for nearly 25 years, best known for his long time collaboration with Director Alexander Payne. Last year, CRASH PAD became Kevin’s directorial debut. Kevin has been a guest at the NCC Salon many times, but returns on February 12th to share not only DOWNSIZING but stories of his new career as a director. Kevin recently made his directorial debut with an Original Black List selected screenplay CRASH PAD written by Jeremy Catalino. 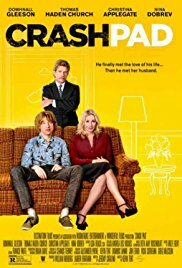 In this film, starring Christina Applegate and Thomas Haden Church, the heartbroken ex-lover and neglectful husband of a beautiful woman move in together in order to enact revenge. See the trailer here. As editor, Kevin has teamed with Director Alexander Payne for over twenty years, editing every one of Payne’s films from CITIZEN RUTH and ELECTION to SIDEWAYS and DOWNSIZING. Most of these collaborations earned him A.C.E. Eddie nominations, with a win and Academy Award nomination for DESCENDANTS. Kevin’s first break after LA City College film school was recutting a movie for legendary B-movie producer Roger Corman. Some of Kevin’s other credits include BLOW, Ted Demme’s drug epic staring Johnny Depp and Penelope Cruz, James Mangold’s GIRL INTERRUPTED staring Winona Ryder and Angelina Jolie, DISCONNECT and PARCHED. He has also worked on numerous projects with director Barry Sonnenfeld and on projects with directors Garry Marshall, Nancy Meyers and Martin Scorsese. Don’t miss this chance to meet this terrific Hollywood professional, longtime editor and now director. Our Salon on Monday, February 12th will be a great one! This entry was posted in Hollywood Salon on February 8, 2018 by Todd Nelson. The 1st Salon of 2018 on Monday is our 3-Minute Festival! HAPPY NEW YEAR from all your Coast Connection friends! Monday, January 8th will be the first Salon of 2018. And it’s the one where YOU get to show us what you got…Yep, it’s the return of SALONFEST: THE THREE MINUTE FILM FESTIVAL, our ever-popular NCC mini-film festival! This is where we will show three minutes of anything you want to showcase. Up on the Big Screen. There’s a ton of talented folks in the NCC, and many of you have created some amazing work in the past year. This is our chance to see what you’ve been up to. 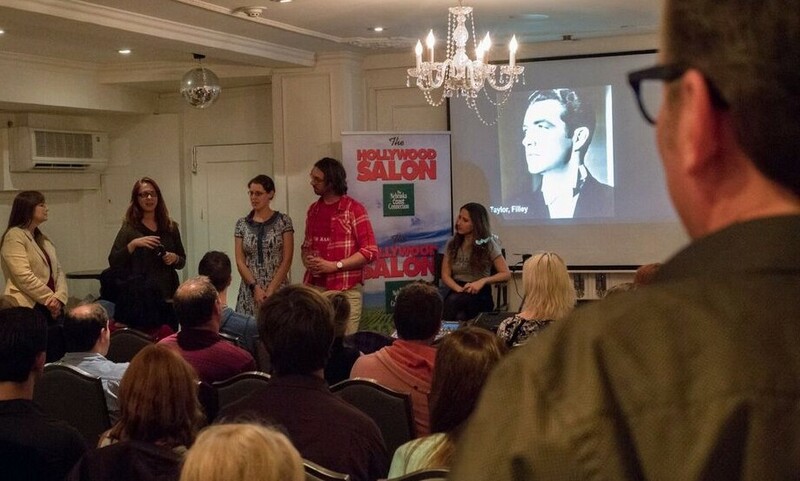 Cue up your latest short, or your reel, or anything you helped to create, and we’ll show three minutes of it at the January Salon. You’ll get a minute to tell us about it, before or after. (Got something longer? Barter with others to share your time…) For format, we can screen from DVDs, thumbdrives or internet streams. See you Monday, January 8th, 2018! Salons are a great way to network, catch up with old friends and new ones, and have a taste of home in Hollywood. This entry was posted in Hollywood Salon on January 4, 2018 by Todd Nelson. 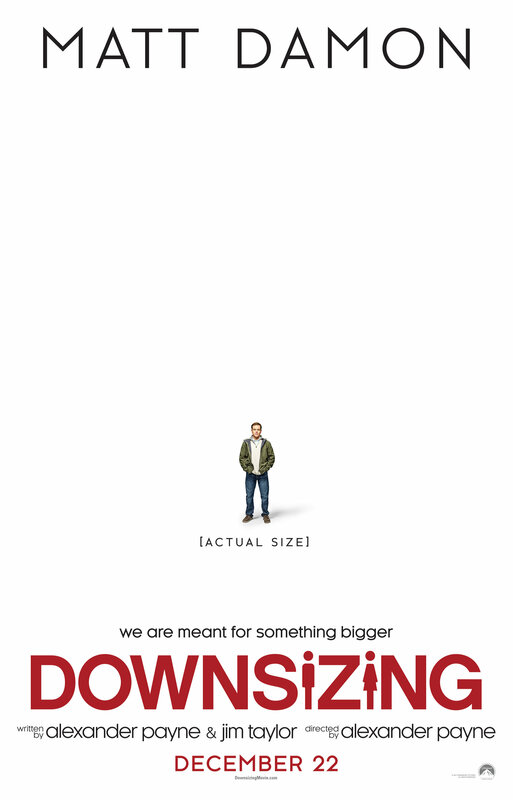 Alexander Payne’s new film DOWNSIZING just premiered at the prestigious Venice, Telluride and Toronto Film Festivals to great reviews. 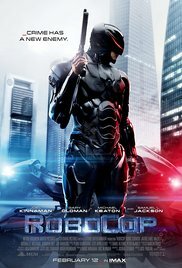 Over the coming months, the Hollywood Salon will be hosting members of the team who made the film. 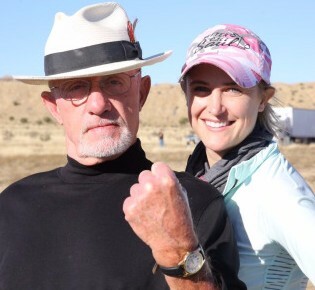 ANNA MUSSO is the longtime assistant to our old director friend Alexander Payne, working with him on many of his projects including THE DESCENDANTS and NEBRASKA. She was also very involved from start to finish on Payne’s new film, DOWNSIZING. She was even able to attend the film’s recent premieres at Venice and Telluride. In addition to sharing stories about this new film, she will also be sharing her own film with us. At her last Salon appearance a couple years ago, Anna told us about a new short film she wrote and directed called RUN FAST. The film has been screened to great acclaim in festivals around the world, and now she will be bringing it for us to see at the October Salon. RUN FAST stars Robert Forster and Yetide Badaki. Coached by an aging former runner, a Kenyan competes in the Los Angeles Marathon, where losing will cost her more than just the race. 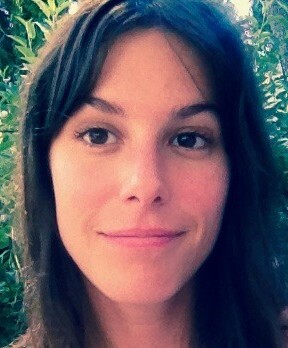 A native of Chicago, Anna earned a BFA in Film Directing from New York’s School of Visual Arts. In New York she was a member of The National Board of Review and a videographer for The Actors Studio. L TRAIN, her first solo directorial work premiered at the Sundance Film Festival, where it was the recipient of the Women In Film Award. L TRAIN went on to screen in festivals around the world and was awarded The Chicago International Film Festival’s Chicago Award and The Santa Barbara International Film Festival’s Oscar qualifying Bruce Corwin Award. Come Monday night, October 9th, to learn another piece of the DOWNSIZING story, and to see a new short film by a talented woman filmmaker. Hope to see you there! This entry was posted in Hollywood Salon on October 4, 2017 by Todd Nelson. South Park and Disney couldn’t be more different, but one talented animator has made his mark at both. Taking his childhood love of drawing to the top of the industry, our August 14th guest will be making a return to the Salon to tell us all about working for both the South Park gang and for Mickey Mouse. 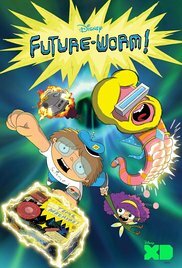 Emmy Award-winning director and producer Ryan Quincy is creator and executive producer of Disney XD’s animated comedy adventure series FUTURE-WORM! 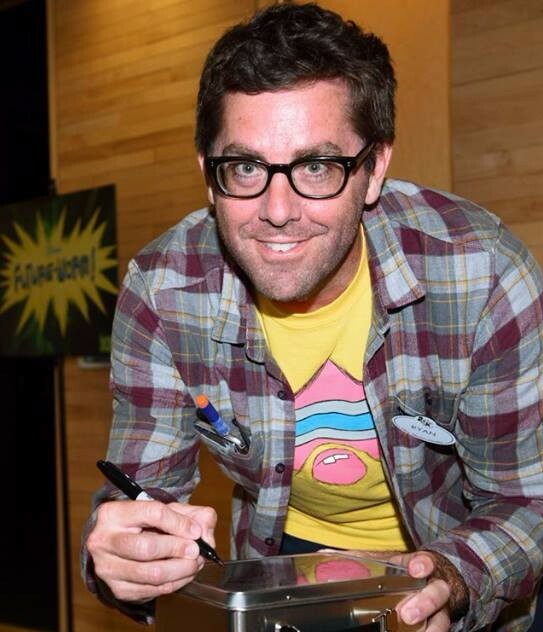 Ryan is best known for his work on the long-running animated series SOUTH PARK, for which he won two Emmy Awards in 2008 and 2009 and was nominated in 2010 and 2011, all for Outstanding Animated Program. He also created IFC’s animated series OUT THERE, for which he also voiced the lead role of Chad. 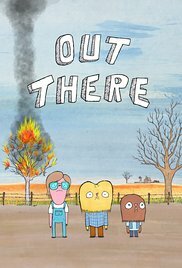 OUT THERE was based on Ryan’s small-town Nebraska roots, and had many autobiographical elements. 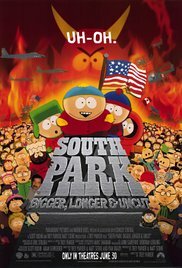 Ryans’s career as an animator began on the full-length feature film SOUTH PARK: BIGGER, LONGER & UNCUT, and spent twelve years working on the series in various roles including lead animator, animation director, and animation producer. A native of Holdrege, Nebraska, Ryan – in a weird Hollywood coincidence — actually grew up in the same childhood room as our NCC founder Todd Nelson (his family bought Todd’s family’s home!). Ryan received his B.A. in English and a graphic design minor at the University of Nebraska Kearney. 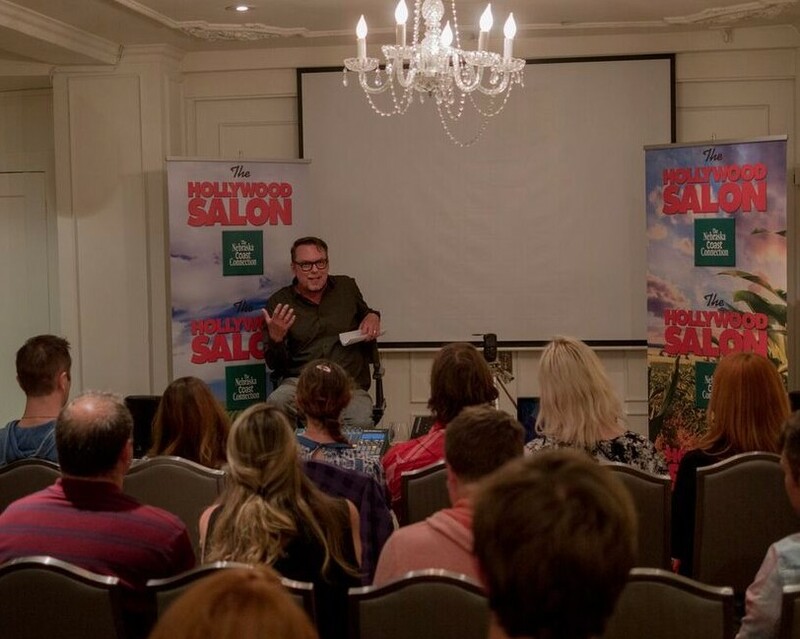 Whether you have an interest in animation, producing hit shows or doing voiceover, you won’t want to miss Ryan at the Salon on Monday, August, 14th. This entry was posted in Hollywood Salon on August 3, 2017 by Todd Nelson. A Nebraska writer is on the staff of one of the hottest shows on TV. Her rapid climb up the ladder from assistant to the writer’s room should be a series itself. She’s our special guest at the Salon on July 10th! Heather Marion is originally from Superior, Nebraska, where she lived and worked in her family’s funeral home. She attended Concordia University-Nebraska, majoring in Biochemistry, with the intent to dominate the mortuary empire. During a New York City exchange program, Heather became involved in theatre, both writing and acting. 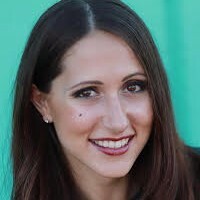 She completed improvisational, stand-up, and sketch comedy training before ditching her embalming tools and moving to Los Angeles to pursue screenwriting. After working as a development intern for Laura Ziskin, Heather became Executive Assistant to Jill Soloway, showrunner of Diablo Cody’s UNITED STATES OF TARA (Showtime) and co-showrunner of HOW TO MAKE IT IN AMERICA (HBO). 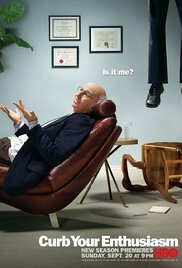 Heather then worked as Executive and Writer’s Assistant to Jeff Garlin during his work as Executive Producer/Co-star of Larry David’s CURB YOUR ENTHUSIASM (HBO) and star of THE GOLDBERGS (ABC). Heather became Garlin’s producing partner in 2012, earning the title of Associate Producer of his second feature film, DEALIN’ WITH IDIOTS (IFC/Killer Films). Meanwhile, Heather wrote and performed in weekly sketch shows at Straitjacket Society and Upright Citizens Brigade, and attended graduate school full time, receiving her MFA in Screenwriting from UCLA in June 2013. 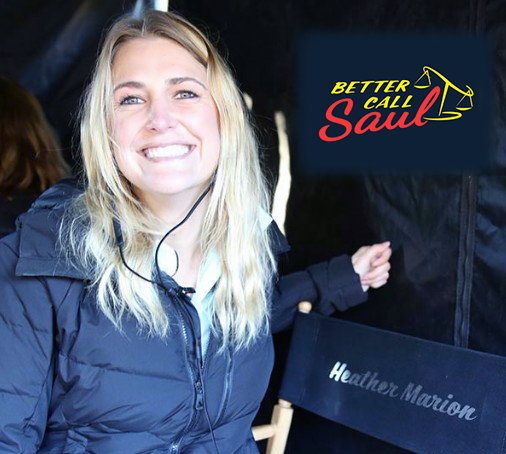 She worked as the Writers’ Assistant on season 1 of the Vince Gilligan/Peter Gould Breaking Bad prequel, Better Call Saul (AMC), while continuing to write and produce with Garlin. She took on a dual Writers’ Assistant/Script Coordinator role for Season 2 while co-writing the finale with Gilligan before promotion to her current position as Staff Writer on the series’ third season. With one of her original pilot scripts, Bury Me, Heather was included as a writer in Sundance’s inaugural Episodic Story Lab. She is represented by William Morris Endeavor & Management 360. 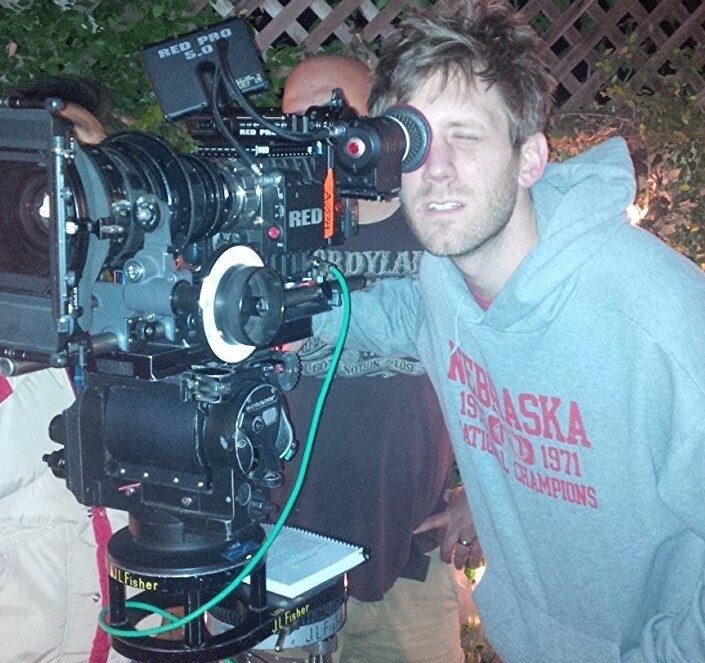 Come meet a Nebraskan who is creating one of the best shows in the Golden Age of Television. And her stellar advice for getting started in Hollywood will inspire YOU in your career. It’s going to be a terrific Salon on Monday, July 10th! 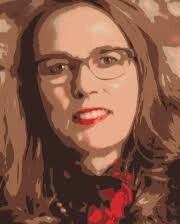 Also attending the July Salon will be Laurie Richards, Nebraska Film Commissioner. It’s been awhile since her last Salon visit, so we’ll look forward to her update on what’s happening in film back home. Laurie will be the recipient of the Mary Riepma Ross Award at UNL’s Ross Film Theatre in August–a big honor–Congrats, Laurie! Salons are always on the Second Monday of every month. 7:30 to 10:30. This entry was posted in Hollywood Salon on June 30, 2017 by Todd Nelson.